I thought it would be fun to post some pictures of my first few quilts. 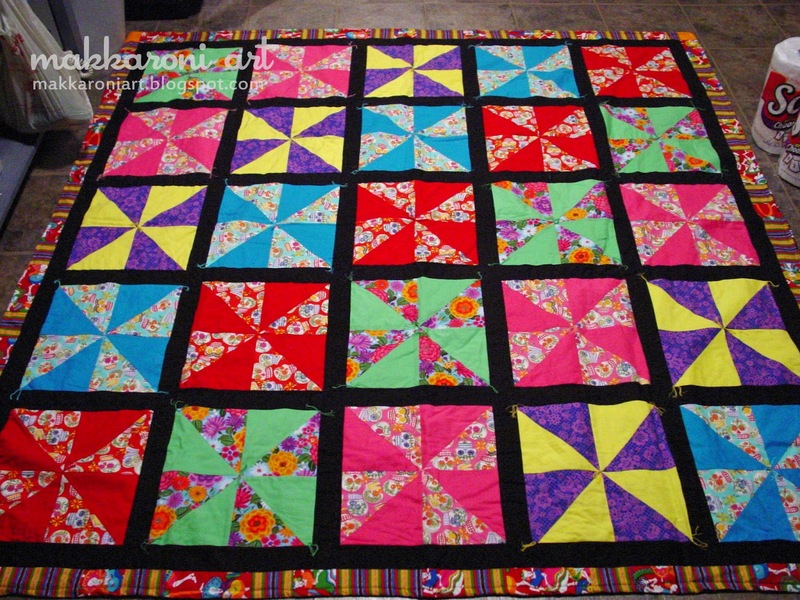 I started quilting about 8 or 9 years ago. I already knew how to sew...curtains, crafty bits, and clothes, but I hadn't gotten into quilting until a friend at work got me interested. I am so glad she did! She provided encouragement and the basics and a new quilter was created! 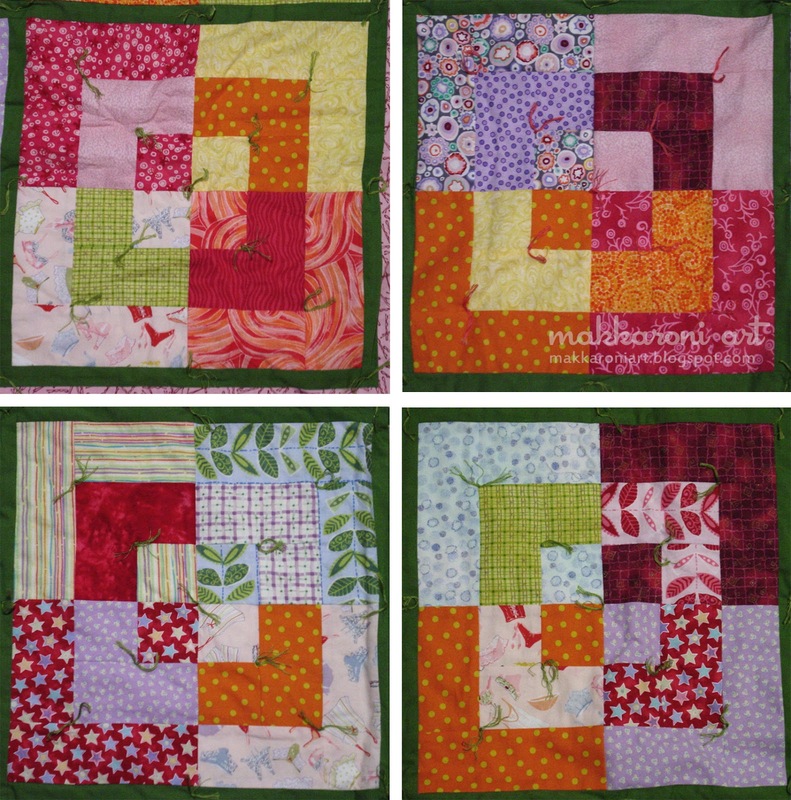 My first three quilts were Christmas presents for different friends. You will have to excuse the photos...photography wasn't as important back then and these were photographed quickly, so I would have a record of them before I gave them to my friends. 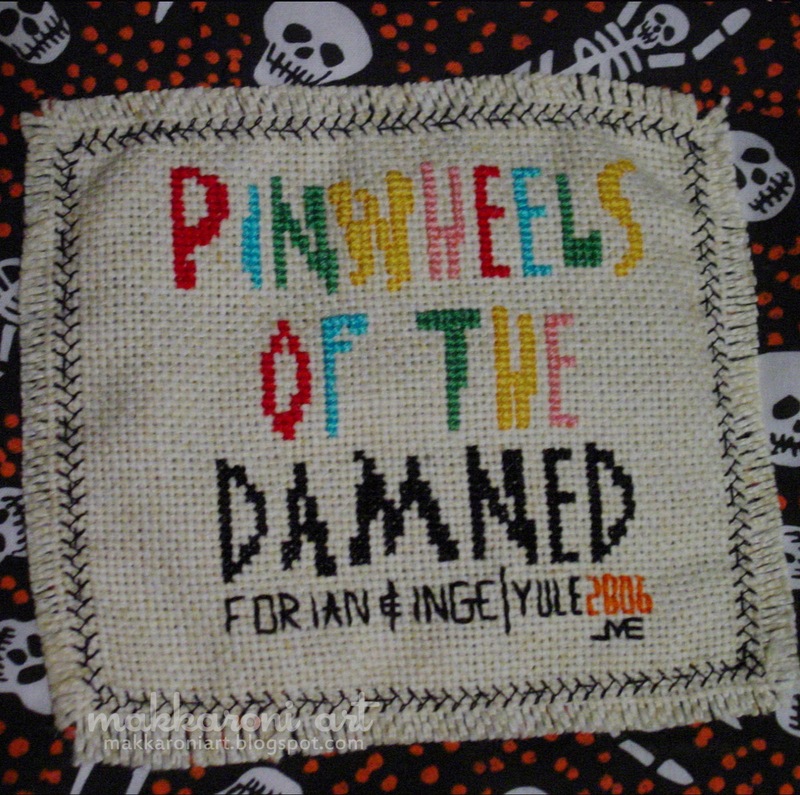 This first quilt was named "Pinwheels of the Damned"...partly because the friends receiving it are Goth and partly because the fabric used was a cool Dia de los Muertos/sugar skulls pattern. It was quilted with a combination of running stitch and hand tying. I used the "quick turn" method for finishing (in stead of using a binding to finish it off). 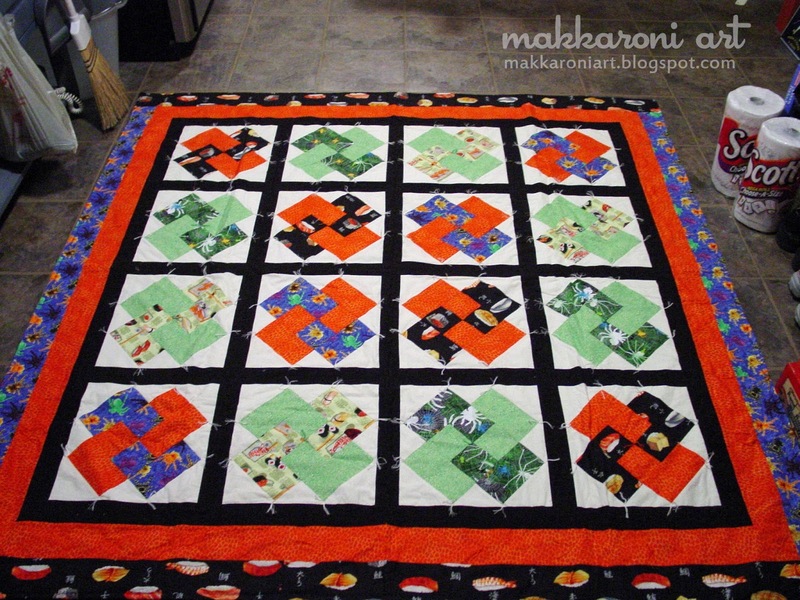 The next quilt was a gift for another couple and was called "Spider Sushi Yum Yum!". 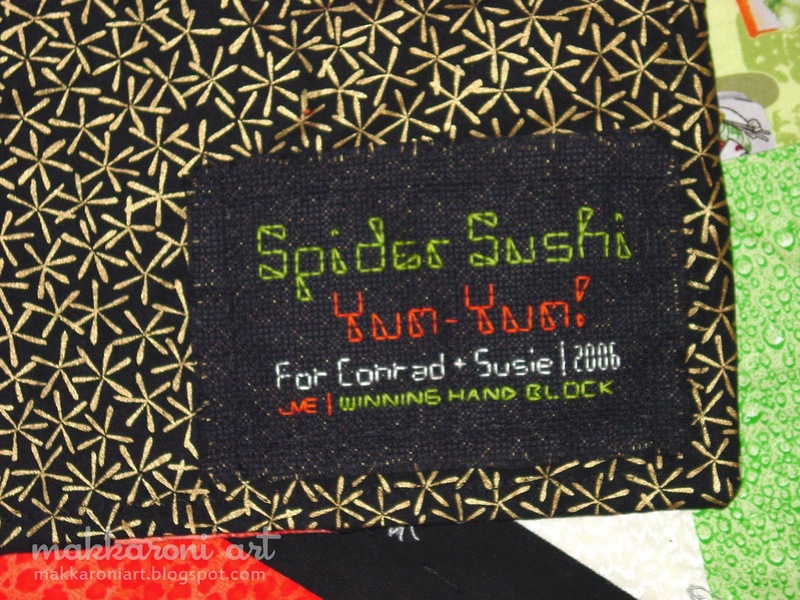 It was named that because the main fabrics in the quilt are either of spiders (she loves them and owns a tarantula) or sushi (he is vegetarian and one of his specialties is making sushi). It was done in the Winning Hand Block and has an "Asian" feel to it. It was quilted with a combination of running stitch and hand tying. I used the "quick turn" method for finishing (in stead of using a binding to finish it off). 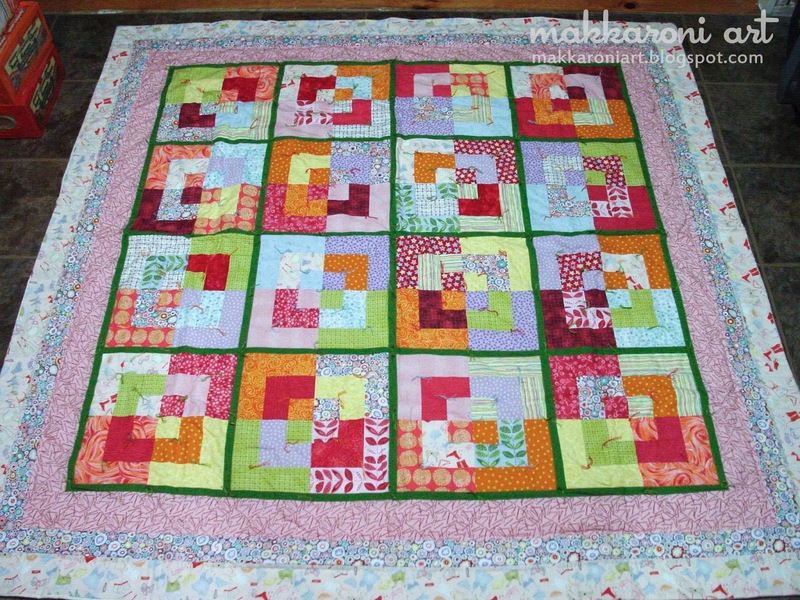 The third quilt was a lot of fun to make, with all the different fabrics. 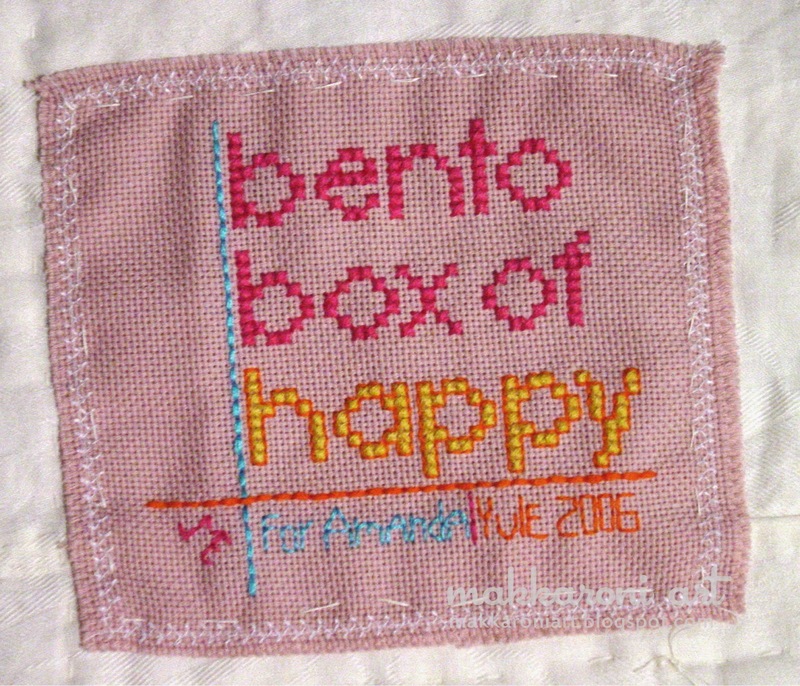 It was called "Bento Box of Happy" and was made with the Bento Box Block. It was quilted with a combination of running stitch and hand tying. I used the "quick turn" method for finishing (in stead of using a binding to finish it off). 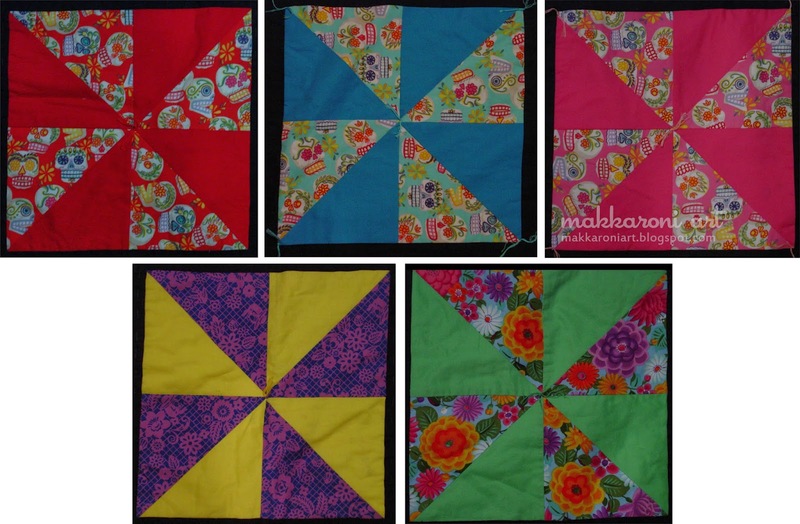 I love the fabrics I used in the borders (I still have a tiny bit of each one in my scraps box.)! 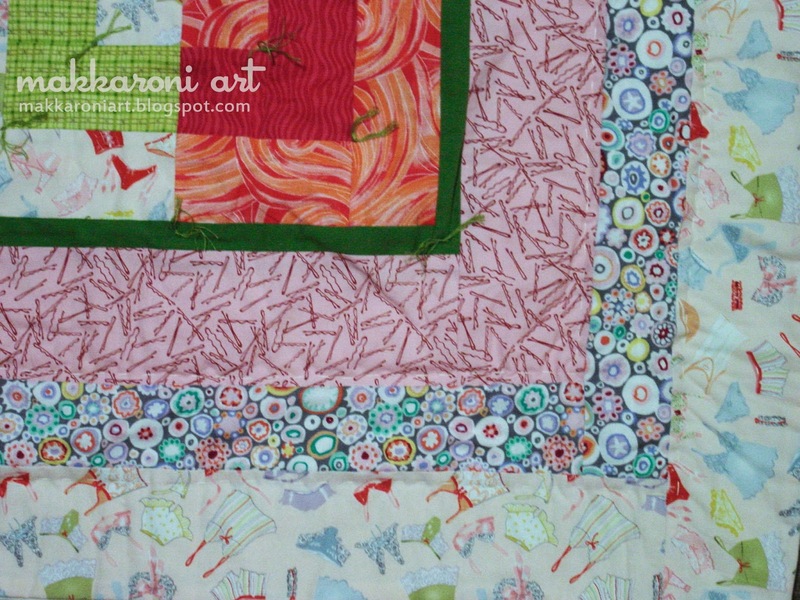 The lingerie and bobby pins fabric were found first and served as the inspirations for the quilt--wanting something fun and feminine for the friend it was made for. 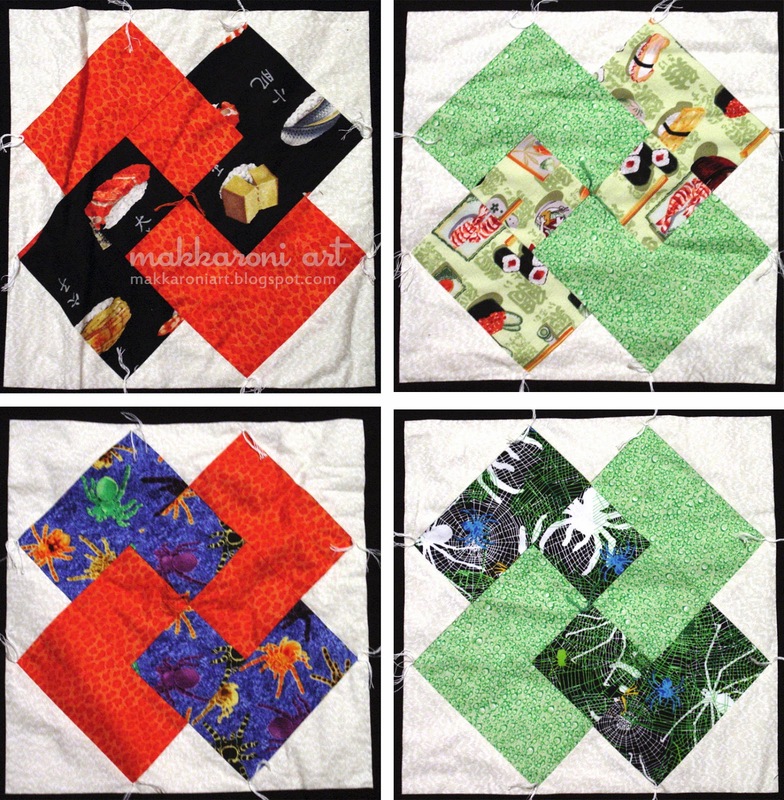 Thanks so much for stopping in and reading about my quilting firsts! Have a great day!